Save On Energy ~ Win Free Electricity! Register to Win One Month FREE Electricity! You do not have to switch providers to be entered into this drawing. 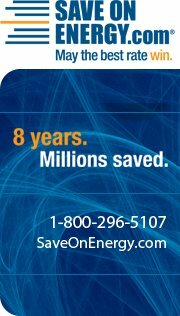 Follow Save on Energy on Facebook, and enter to win a weekly drawing for $250 presented in the form of a check. Save On Energy is the #1 site in North America to shop and compare energy rates. They also make it easy to switch providers online so you can start saving money immediately. Fine Print:One winner will be randomly selected each week during the promotion period, April 4-30, 2011. Limit one winner per household, not valid for previous registrants of Save on Energy.